Enjoy water views of the Long Island Sound from this 2 bedroom, 2.5 bath in the Boatyard Condominium complex. The open floor plan includes a large LR/fireplace, doors to a deck overlooking the Sound, dining area and a great kitchen with plenty of storage and counter space. A PR completes the first floor. Water views greet you in the MB which has a master bath with a soaking tub and a spacious dressing room. The spacious second BR overlooks the courtyard and also has water views. Hall bath, laundry and utilities complete the upstairs hallway. A special feature is the pull-down stairs to a nice-size attic storage. Condo has bamboo floors and in the second bedroom a cork floor. Custom closets throughout. Complex offers 24-hr. concierge, pool, dock, and club house. 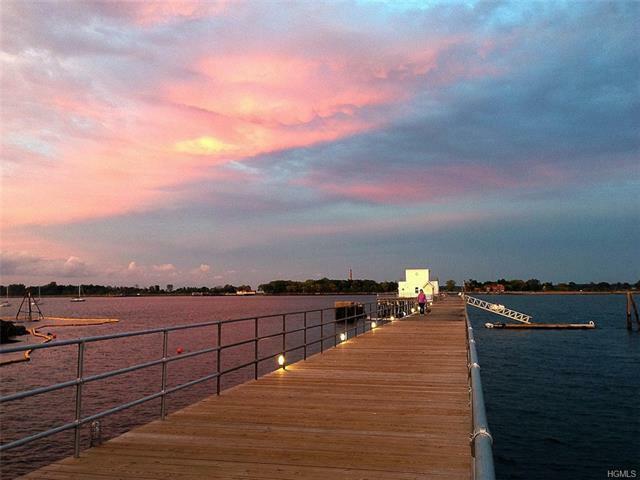 City Island offers a charming respite from the hustle and bustle of city living. Take a boat ride, go fishing, visit the Historical Society or Nautical Museum or dine in one of the restaurants City Island has it all.